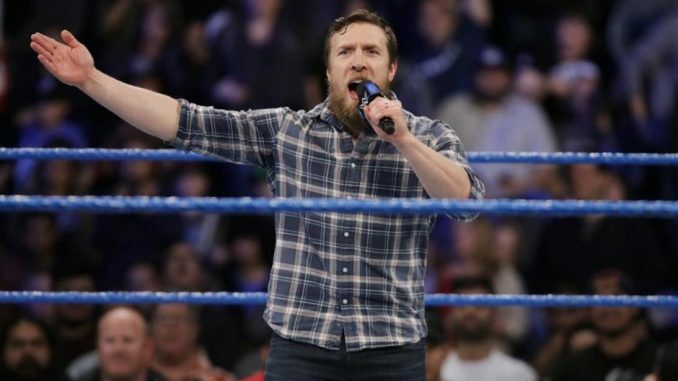 The WWE announced on Tuesday that Daniel Bryan (Bryan Danielson) has been medically cleared to return to the ring following a two-year hiatus. In 2016, Bryan was forced to retire after failing to be cleared by the WWE’s medical director, Dr. Joseph Maroon. This was a result of the discovery of a small subacute or chronic lesion in the brain’s temporoparietal region. While Bryan was able to gain clearance from several other doctors, the decision by Maroon was one the WWE was not going to ignore. Bryan has been vocal ever since the 2016 retirement that he wanted to wrestle again and had been undergoing hyperbaric oxygen therapy. Bryan had always stated if he encountered any warning signs along the way, he would not pursue a return to the ring. The WWE’s story stated that Bryan received clearance from Dr. Robert Cantu, Dr. Jeffrey Kutcher, Dr. Javier Cardenas, and most important, by Dr. Joseph Maroon. 2018 was a pivotal year for Bryan’s future as his contract with World Wrestling Entertainment is set to expire in September and he would not have any restrictions leaving the company and wrestling elsewhere. The announcement of Bryan’s clearance will be the focal point of tonight’s episode of SmackDown Live, where Bryan was already scheduled to appear in Dallas. His return should play an impactful role on this year’s WrestleMania card, which takes place from the Mercedes-Benz Superdome in New Orleans, the site of Bryan’s memorable title victory at WrestleMania 30 in 2014.